Constructed from a durable mild steel, each board can hold up to 500 pounds. Each nerf features a polished stainless finish and a 30 degree angled end design. Fully welded end caps ensure durability and long product life. The secure 4" wide stepping area comes complete with anti-slip step pads. Raptor 4" curved oval stainless nerf bars are a great option for your truck or SUV. 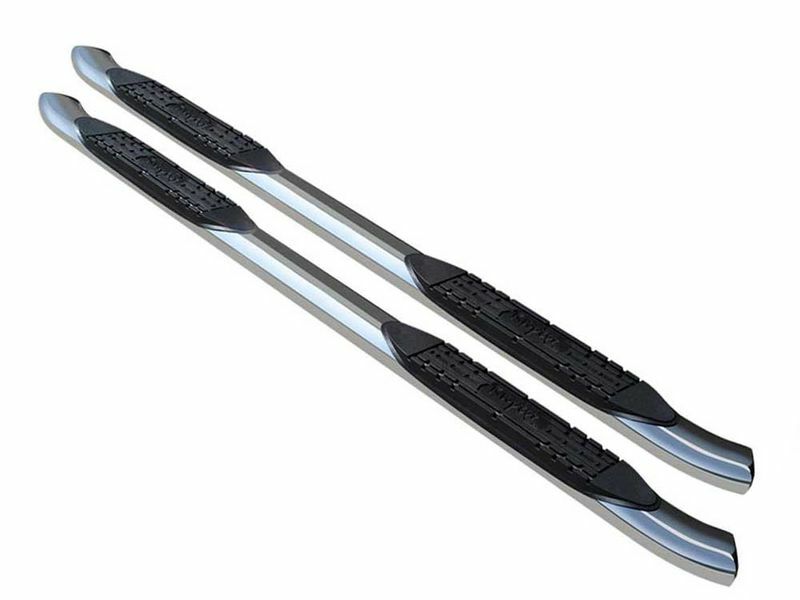 They provide a sleek look and a safe step up into your vehicle.